A few weeks ago, Realtor.com and Yelp got together to name the hottest hipster markets in the nation. It’s not surprising that Nashville was in the top 50 markets. 37204 or the area surrounding the 12 South neighborhood. To come up with the list, Yelp looked for mentions of the word hipster in their data. They combined that information with the strength of the market data from Realtor.com for the final rankings. Only one zip code per metro area was included in the list. I was taken aback at the Hottest Hipster Market on the chart, Columbus, OH. It’s not the city that most people would think of as hipster. And that is part of the problem when trying to determine where the next hot, new area might be. By the time any town makes a list like this, you’ve likely missed the boat on the appreciation that comes with being one of the first to invest in an emerging market. Take 12 South as an example. If you wanted to ride the wave in that neighborhood, you are a decade too late. According to date from the Metro Property Assessors office, this area appreciated about 60% over the last four years. That’s almost double the amount the entire city of Nashville appreciated in that same time frame. Getting in early is where the money is at. However, it also comes with a set of risks that most of us are not willing to bear. Many times these risk takers are professionals who feel priced out of the emerging neighborhood that they want to live in. And they decide to try to spark change in another location. Sometimes it is in the same city. Other times they might move across the country. Either way, following these pioneers, can be good to determine where the next hot market might be and then when is the best time to make your move. I spend time every week looking at trends and listening to the latest on the market in Nashville. It’s part of the service that I provide to you because I want you to have the information you need to make the best housing decisions possible. 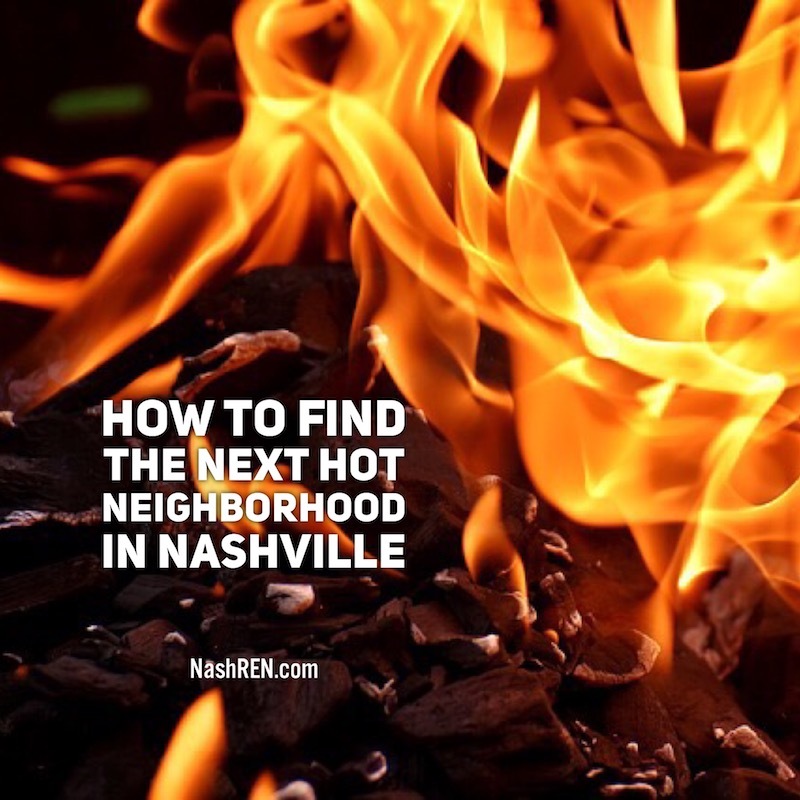 If you want to find out where some of these areas in Nashville might be, let’s grab a cup of coffee and talk about your goals. The Daily Deal in Nashville is another great opportunity in Inglewood [East Nashville]. The interior needs updating, and it has a new roof, HVAC and gutters. This home is listed for less than $280,000.